The smiling cabin crew of Icelandair will soon be heading to the sensational Californian city of San Francisco. This growing and popular airline have announced the return of their international service from San Francisco International Airport (SFO) to Iceland and beyond. The seasonal flights will begin on 1st June 2018 with four non-stop flights a week to Iceland on Mondays, Wednesdays, Thursdays and Saturdays, and easy connections to and from more than 25 destinations in Europe. "San Francisco will be a strong link in our network, once again, bridging Northern California with Europe. Icelandair offers our passengers more flights, more connections, and a refreshing alternative to Iceland and beyond. This new link between the Golden State and Europe will open new opportunities for not only leisure travellers but also for business, trade and foreign relations. We look forward to welcoming San Francisco aboard," said Icelandair CEO Bjorgolfur Johannsson. 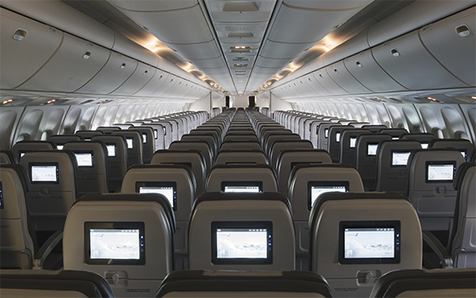 Icelandair operates an exclusively Boeing fleet with 757's and 767's the service from San Francisco will be operated by one of Icelandair's Boeing 767s, featuring three cabins of service, more legroom, in-flight entertainment, and gate-to-gate Wi-Fi. for up to seven nights at no additional airfare. Icelandair operates an exclusively Boeing fleet and service from San Francisco will be operated by one of Icelandair's Boeing 767s, featuring three cabins of service, more legroom, in-flight entertainment, and gate-to-gate Wi-Fi. Only 8 hours from SFO, Iceland has become one of the hottest destinations in Europe, a natural wonderland with geysers, glaciers and waterfalls, clean air, pure cool water and flowing hot springs. Passengers travelling beyond Iceland can take advantage of an Icelandair Stopover for up to seven nights at no additional airfare. "We are proud to be the airport of choice for Icelandair's expansion on the U.S. West Coast," said SFO Airport Director Ivar C. Satero. "We have a shared passion for making air travel environmentally sustainable, having each set aggressive goals for reduced greenhouse gas emissions and carbon neutrality. Travellers in San Francisco can soon enjoy a great new way to get to Iceland and beyond." San Francisco is known as the Golden City with its iconic Golden Gate Bridge and Golden State Park. Colourful Victorian homes, shops and hotels line the famous winding streets that connect the many diverse and historic neighbourhoods, including Nob Hill, Haight-Ashbury, Chinatown and Fisherman's Wharf. Visitors can expect a temperate climate with scenic views, nearby beaches and parks, along with a thriving cosmopolitan city filled with museums, eclectic shops and assorted restaurants. Icelandair has been in operation since 1937. As an aviation pioneer, Icelandair continues to grow by adding new aircraft to its modern fleet, more destinations, and popular amenities including personal in-flight entertainment and gate-to-gate Wi-Fi access available on all routes. 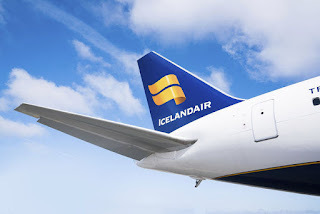 Icelandair offers service to and from Iceland through Icelandair's hub at Keflavik International Airport serving 23 destinations in North America and more than 25 destinations in Scandinavia, the U.K., and Continental Europe. 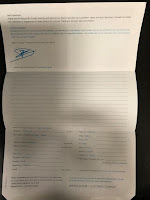 Icelandair also allows passengers to take an Icelandair Stopover for up to seven nights at no additional airfare - more details here.